I had been looking forward to this event since it was first announced. It was to be my first ultra-marathon and a chance to test how far my training has come in the few months since I started running again. 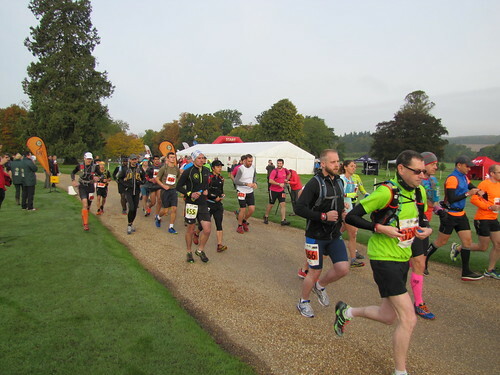 I nearly didn’t make it to the start line – For some time prior to the event I was really not sure my fitness was going to be up to it following quite a lot of missed training during the summer after two injuries. However, I managed a reasonably good 28 mile training run two weeks ahead of the race and felt that I would be able to get round, though probably not as fast I would have liked. 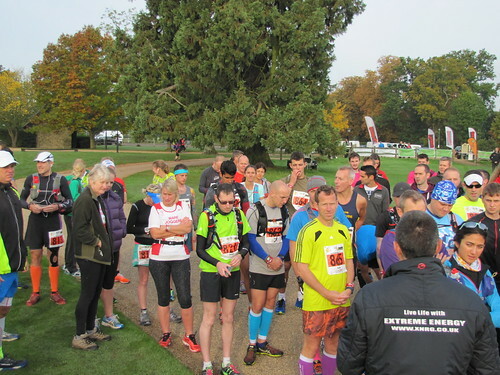 A final deciding factor in my decision to take part was what I believe was a late change in the race policy that allowed you to drop down in distance on the day and still be recorded as a finisher. I decided that I would aim to complete 54km and then if I felt okay would carry on for the full 81km distance. Loseley Park near Guildford is a stunning venue for an event such as this and the 9Bar and Extreme Energy teams took full advantage of the space. The competitor’s area was large and really well organised with a dedicated place for drop-bags. Registration was really well organised and all the staff were friendly and helpful. The 9Bar9x9 race itself was held over a 9km course which included a couple of long hills plus one very steep stretch. Although there had been a lot of rain in the days leading up to the event, the nature of the local geography meant that there was very little mud and footing was generally good. I won’t write too much about my own race, save to say it was tough and I suffered as much as I expected to because of my missed training. I suspect I did not eat enough though I am still reflecting on what I could have done better with fuelling. I did my best not to start too fast but with the first few kilometres of the lap being quite easy going this was hard and I am sure I sure of held back more. 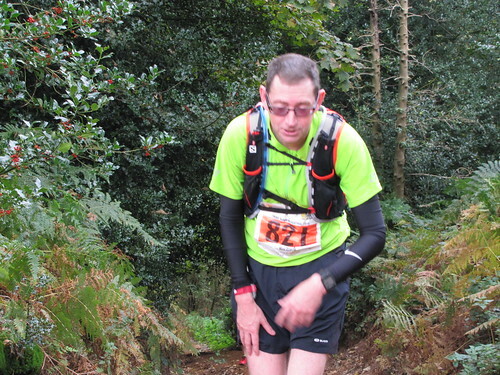 I stuck with my plan of walking the major uphill sections and gradually walked a little more on each successive lap. Unfortunately after about three laps I started to struggle on the one long downhill section with my quads and ITBs tightening up and I had to walk the remainder of that section for the remaining laps. This certainly slowed my overall time but I think it was sensible to minimise any possible muscle damage. 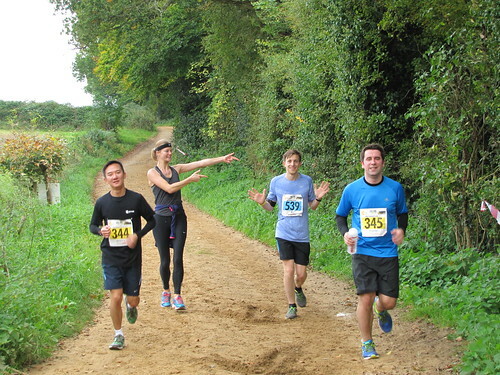 Having mostly done road and track running in the past it was great to see how friendly everyone was in this event. With four different distances, as well as relays, all on the course at the same time, there was a constant stream of people at different speeds passing and being passed. Everyone made time to say hello and give encouragement to each one – this was a definitely a help to me at times. By the time I started my sixth lap I had decided that I would only complete 54km. I am sure I could have completed the full distance but discretion was the better part of valour and I know this helped my subsequent recovery. Another advantage was that I finished in daylight and got home at a reasonable time. One of my key learning points from this race is that I need to work more on leg strength as even walking up steep sections still put a lot of strain on my quads and ITB muscles. More hill work is required in training I think! 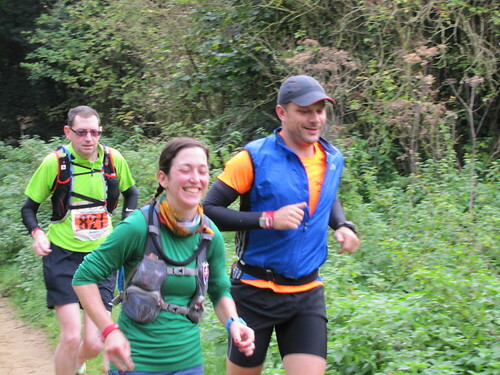 In conclusion, this was a good, though very tough, introduction to ultra-running for me and I am glad I was part of the first running of the 9Bar9x9. Hopefully this will become an annual event and I can come back next year. 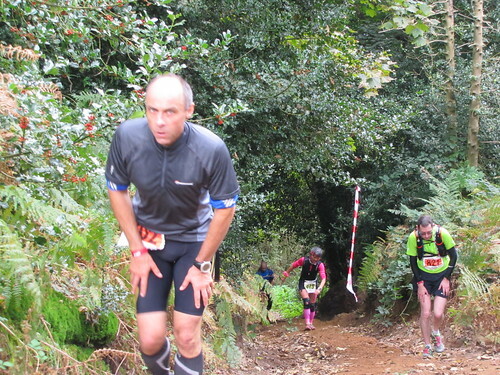 The organisers admitted this might have been a bit steeper than they told us!